Didn't back TruForce Collectibles' Mega Man X Kickstarter? No worries! Right now, Big Bad Toystore is taking pre-orders for $79.99. That's the same price backers had to pay to nab the figure. It's expected to arrive in September. On a related note, there is a possibility I will be giving one of these away around summer time. Possibly. Nothing's set in stone just yet. So if you're short on cash, stay tuned. I'll update you when I know more. Couple big pieces of news on the Mighty No. 9 front today. 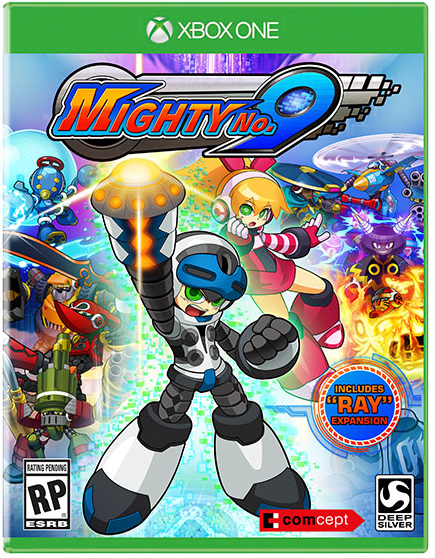 Originally slated to release this month, Mighty No. 9 has been pushed back to September 15th in the U.S, Sept. 18th for Europe and the rest of the world, says Comcept. The reason for the delay is due to a new partnership between Comcept and Deep Silver intended to improve the game. What's more, Deep Silver will bring the game to retail. New assets from Capcom's cancelled Mega Man X first person shooter Maverick Hunter have come to light. The following renders come from the portfolio of Jaehoon Kim, an artist who worked on the project from 2010-2011. Inti Creates Almost Developed "Mega Man Zero 1.5"
Over on USGamer, Jeremy Parish managed to take some time chat with Inti Creates president Takuya Aizu about the history of the company. 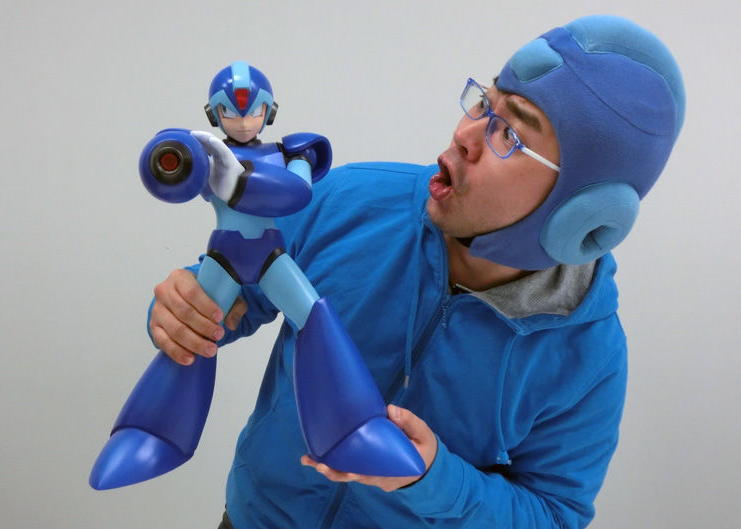 Among the many (and I mean many) topics discussed, Aizu reflects upon his work with the Mega Man Zero series admitting that, at one time, Mega Man Zero 4 was almost a completely different game: an interquel between the events of Mega Man Zero 1 and Zero 2. 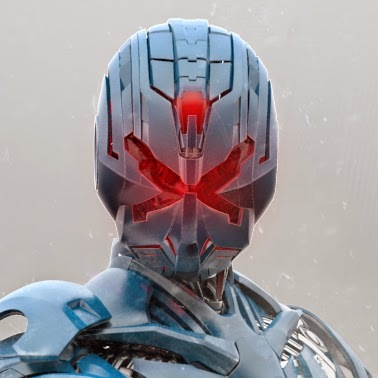 "After we finished creating Zero 3, we actually didn’t want to create a fourth game," muses Aizu. "Scenario-wise, the story was complete in our minds, and we felt the ending to Zero 3 was a really clean way of completing the scenario. But then Capcom approached us to create another game in the series." 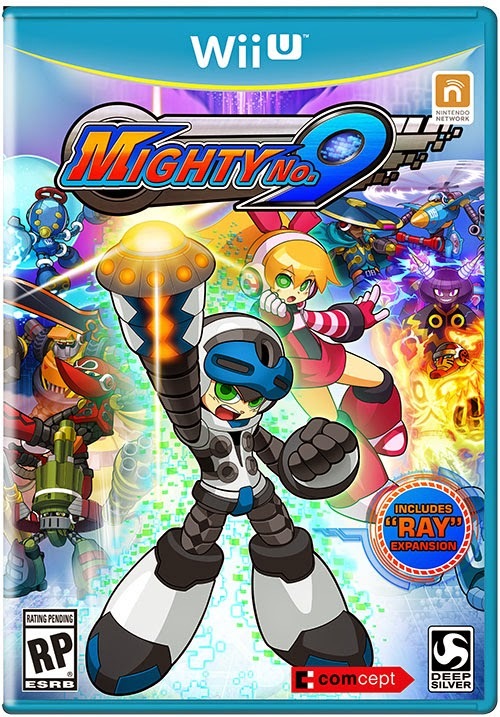 "Our initial plan was to create a game which was basically Mega Man Zero 1.5, a story between 1 and 2. That was our way of compromising. But, Capcom wanted us to create a true Zero 4 instead of 1.5, so we started to rethink things. We're happy with the result — the game we created is very satisfying, in our opinion." To ensure Mega Man Zero 4 would cap off the series, though, Aizu candidly states "We killed Zero off, so we wouldn’t have to make a fifth game." For more on Mega Man Zero's development history, the inspiration for Gunvolt and other neat tidbits, check out the complete article at USGamer. Amiibo collectors take note. The grand prize for the Wizard World Super Smash Bros. tournament is an exclusive metallic Mega Man amiibo which has been designed by Chris “Evilos” Avalos. The tournament will be be held on Saturday, April 25th at 1pm in Las Vegas. It costs $10 to enter with sign-ups starting at 11am Saturday. Space is limited so you'll have to enter ASAP. For more details and rules, head to Wizard World's homepage. Thanks for the tip, Bryce! 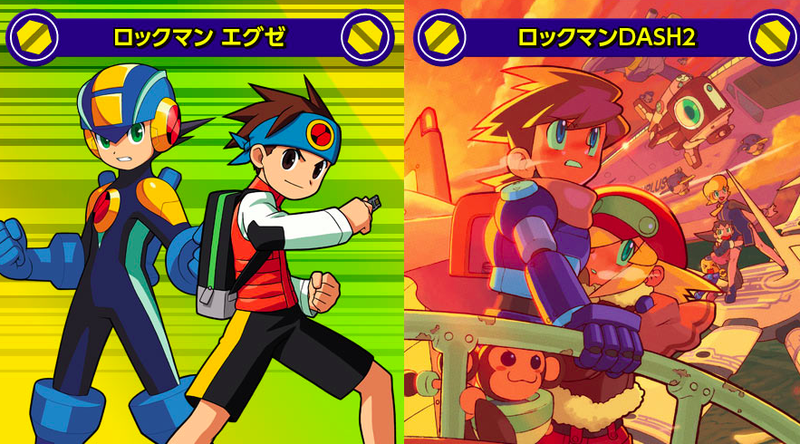 Back by popular demand, Capcom has confirmed plans to reprint the Rockman DASH 2 and Rockman EXE mini art books exclusively through e-Capcom. Originally released in 2009 and 2014 respectively, these "Capcom Special Selection" packs contain a 32 page booklet of both official and conceptual artwork, and a mini CD soundtrack. These days you can find them on eBay for well over $50. Rather than charge a premium, though, eCapcom is asking for 1,825 Yen a piece (roughly $15.30). If you have the means to do so, you can pre-order the DASH 2 pack here and the EXE pack here. Both volumes are expected to ship later this June. Stock is limited... grab 'em while you can! Which would you like to play on May 7th? Cast your votes here. The winning game will appear on the first Thursday in May, with the rest debuting chronologically each week. The poll's open from April 15 through midnight April 29. Heads up, Smash Bros. fans: the Mii Fighter DLC costume packs are now live in North America and Europe. You can grab your Mega Man X or Proto Man duds for a single platform for $0.75 a pop, or get Wii U/3DS bundle for $1.15. To access this content you'll see a new eShop icon in the game. Simply press the Y button and you'll be directed to the eShop. After making your purchase the game will restart and the content will be unlocked. If you purchased the bundle pack you can view your 3DS download code under My Menu --> Account Activity. It will be in the receipt. 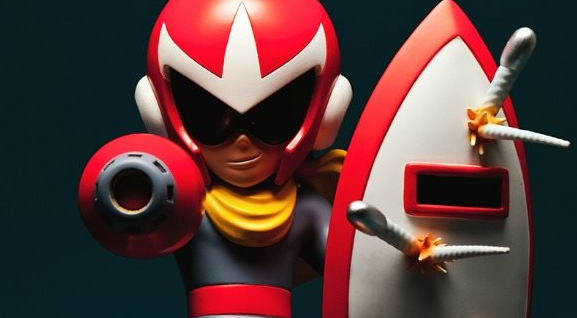 First 4 Figures revealed Proto Man today, the latest 13-inch resin statue from their new Mega Man line. It's available to pre-order in two flavors: the exclusive version and the regular version. The regular version is limited to 1,000 units and is priced at $209.99, while the exclusive version featuring LED lights throughout is limited to a mere 550 units at $229.99. Whichever version you choose, a $20 down payment is required to pre-order (goes toward the final price). 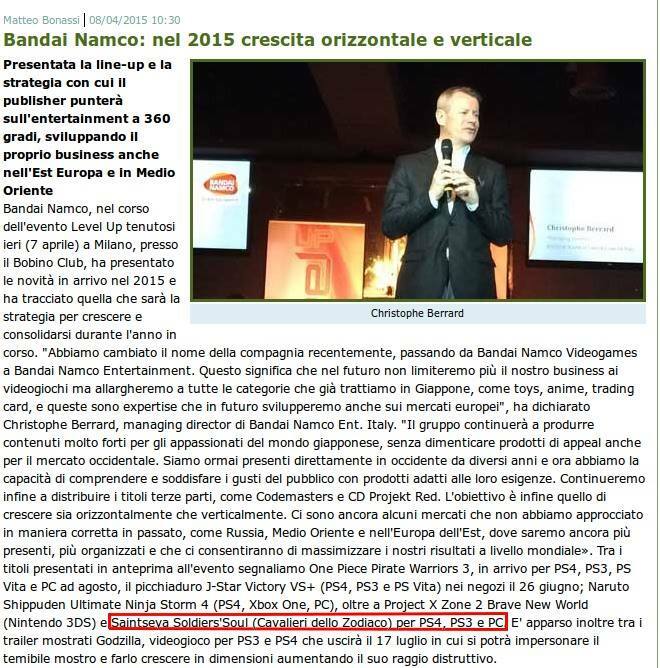 Both figures are estimated to ship in Q4 2015. For images and details, click this link for the vanilla Proto Man and this one for the spiffy LED edition. Bandai Namco has unveiled the official teaser trailer for Project X Zone 2: Brave New World. 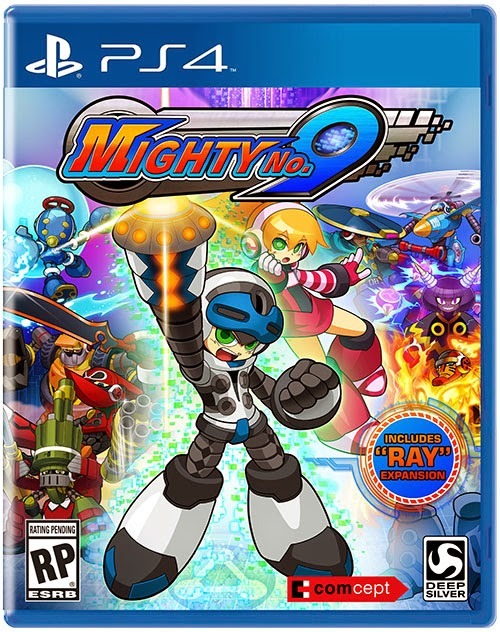 Following in the footsteps of its predecessor, the game is a crossover between Bandai Namco, Sega, and Capcom intellectual properties. The trailer confirms a handful of returning characters in addition to eight newcomers. 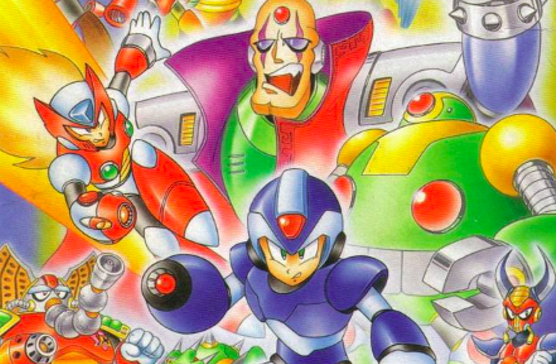 Mega Man X and Zero are returning, though no word yet on Tron Bonne. 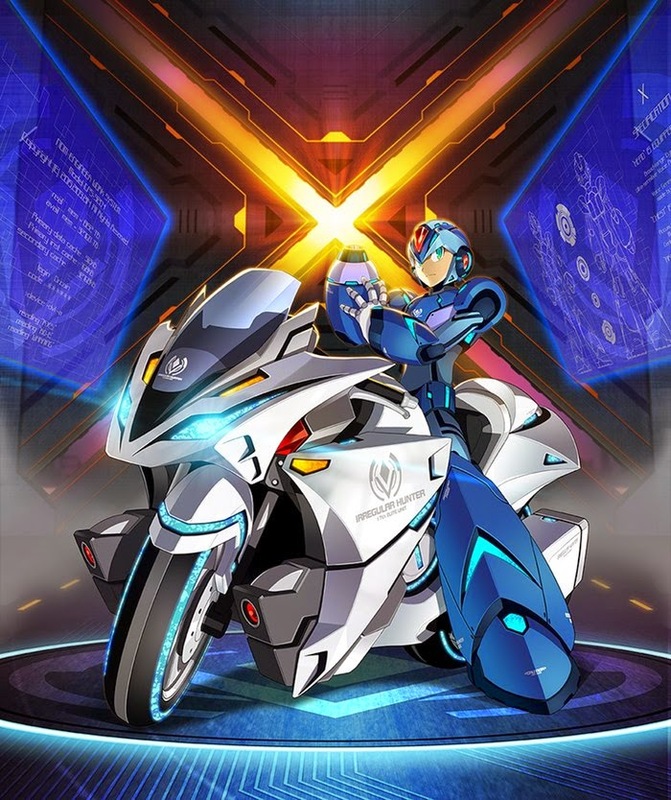 With more characters promised, there exists the possibility of not only Tron's return but new Mega Man reps as well. For now, though, we'll just have to wait and see what develops. Project X Zone 2 is slated to hit Japan Autumn 2015 for Nintendo 3DS. The largest Mega Man X figure ever produced has found itself back in the spotlight at Rockman Unity. It's the best look at the figure yet with new images showing off some of the finer details (just look at those soles!). Check it out here! 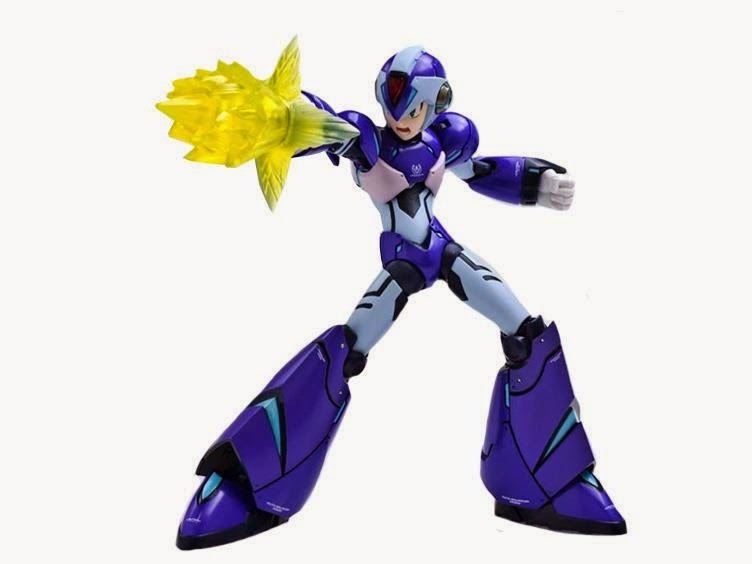 X-Plus Toys' gigantic Mega Man X is available to pre-order now from AmiAmi. You have until June to clear out some shelf space! Thanks to an intrepid fellow by the name of Silk Encoder, you can now watch The Day of Sigma in its highest quality yet. Unlike previous rips (which tend to be oversaturated or washed out) Silk Encoder actually went into Maverick Hunter X's source files, ripped the video and audio, synced it, and encoded the whole package to 1280x720 in meGUI. It's a big step-up from the 480x272 source and it should hold us over until Capcom provides an official HD release. If they ever do. If you like what you see you can head to YouTube and grab yourself the file directly from the video description. 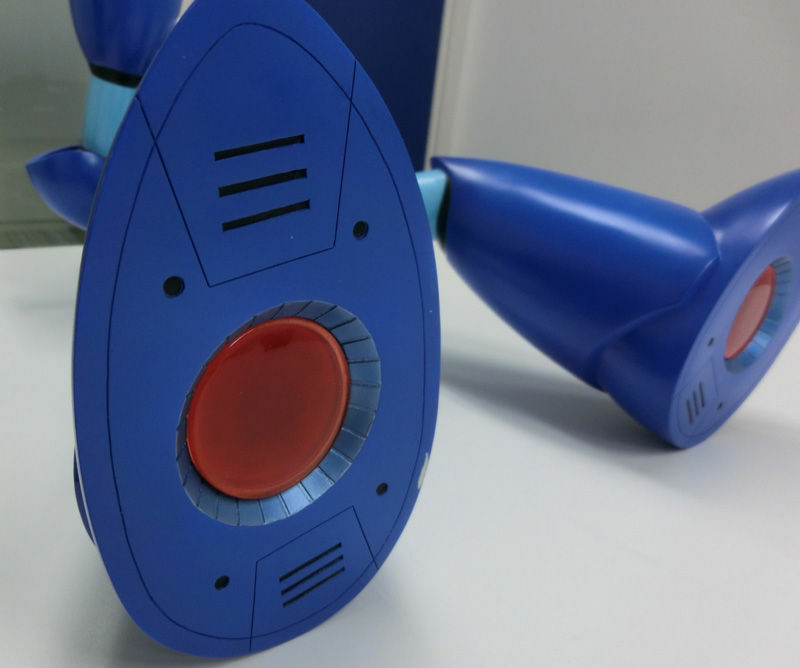 Did you back TruForce Collectibles' Mega Man X Kickstarter? If your funds went towards some of the higher tiers, set your sights on the image above. This Ride Chaser print is coming with your order. This is the handiwork of Capcom artist Keisuke Mizuno. It's a very fine piece, no doubt, but wouldn't it be great to have a physical Ride Chaser to go along with your brand new MMX? Yeah, that's happening too. The Ride Chaser is TruForce's next project; the extra money accumulated during the MMX Kickstarter will go towards the figure's production. As soon as we hear more about it, we'll let you know. 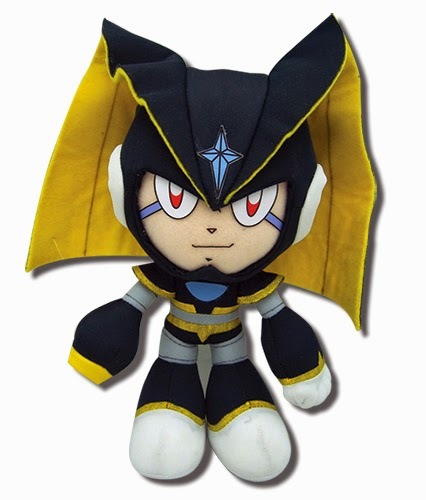 In the meantime you can hit up this link for a bevy of new Mega Man X images. He's due out in September for $79.99. Mega Man is Coming to Mario Kart 8! As a Costume! Yet more Nintendo Direct news. On April 28th, an update to Mario Kart 8 will add support for more amiibo figures, giving your Mii additional racing suit options. 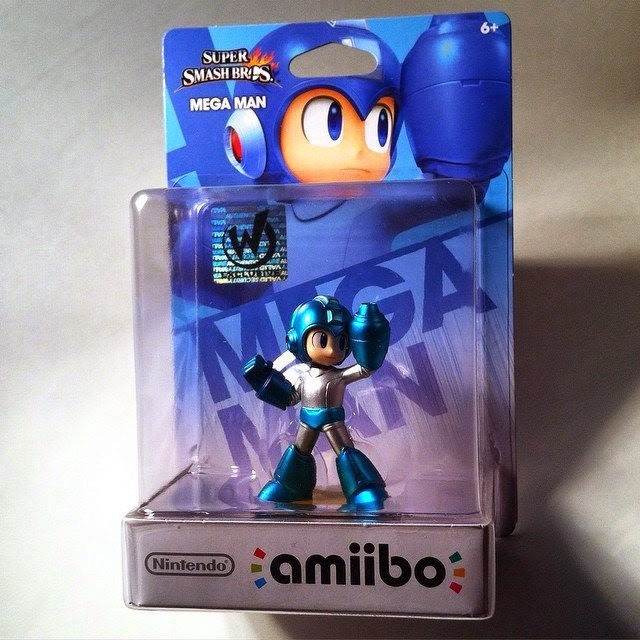 Included in the lot... friggin' Mega Man. See it in the clip above! Announced during today's Nintendo Direct, Mega Man X and Proto Man armor are headed to Super Smash Bros. for Wii U and 3DS. These are intended for your Mii Fighters, priced at $.75 a pop. Coming soon! If that doesn't quite scratch your Mega Man itch, you can even suggest to Nintendo which future playable characters you'd like to see. No, really! Want to see Mega Man.EXE? How about a Robot Master? Make your voices heard here.